We go back a little to the beginning. There it is. 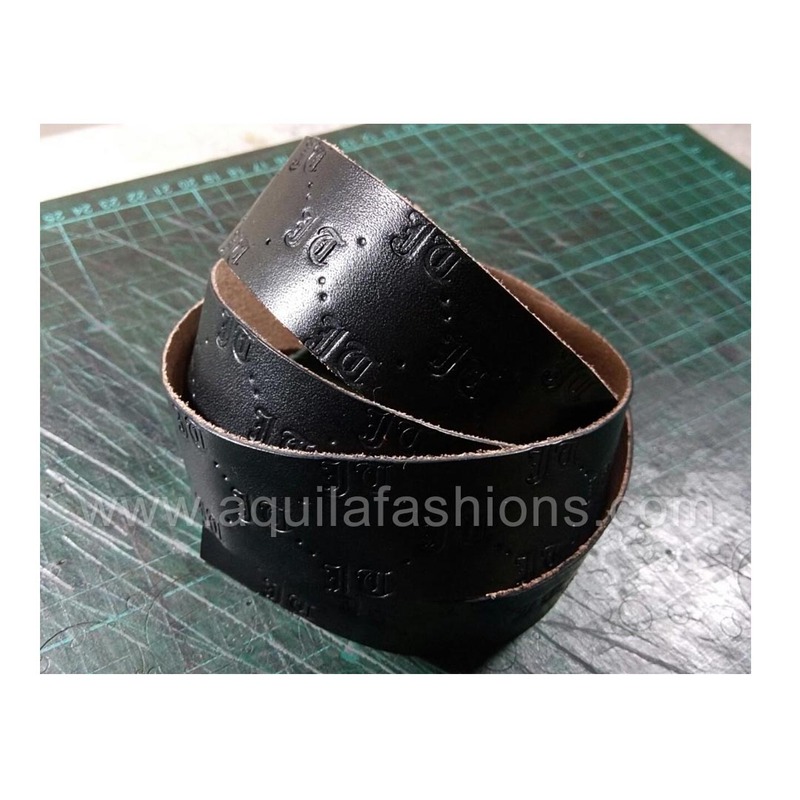 The leather strip is cut and our customer’s name is carefully embossed in classic font (regular font available). 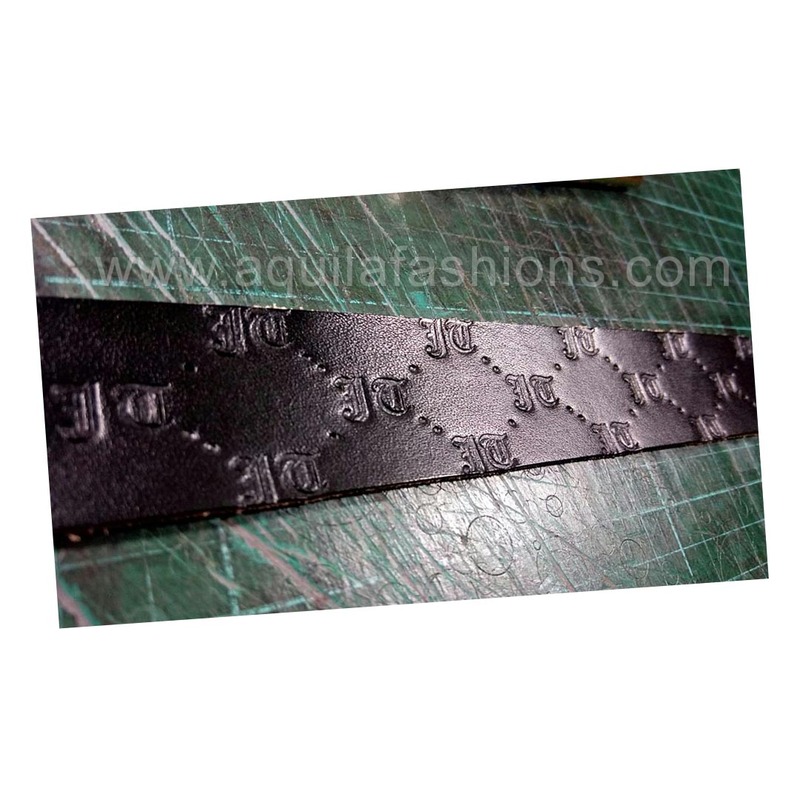 A nice little shot of our custom embossed leather strip preparing to be combined into a belt.